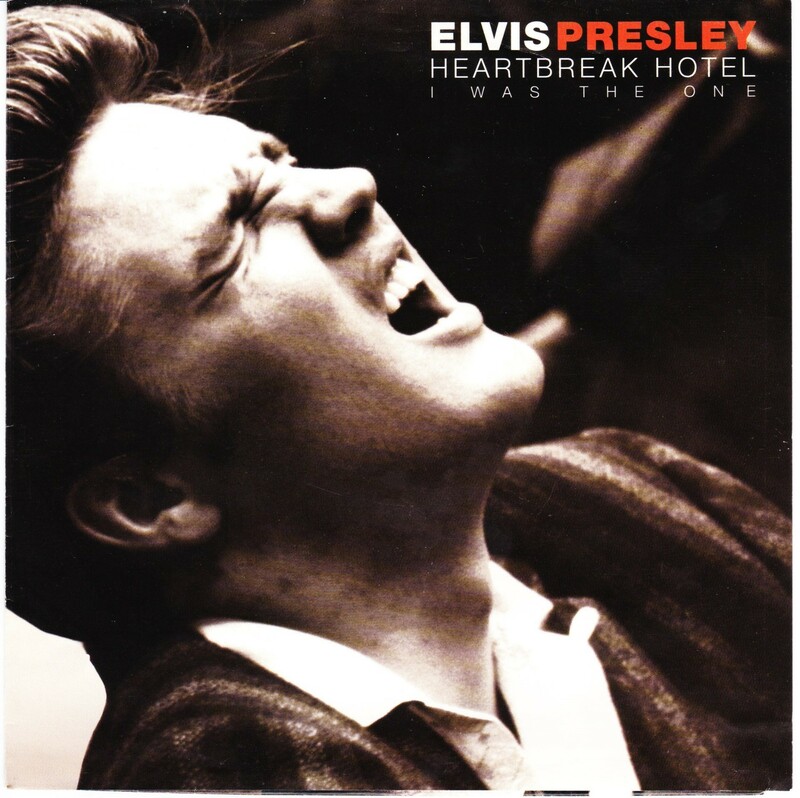 Front Cover : Title top right. 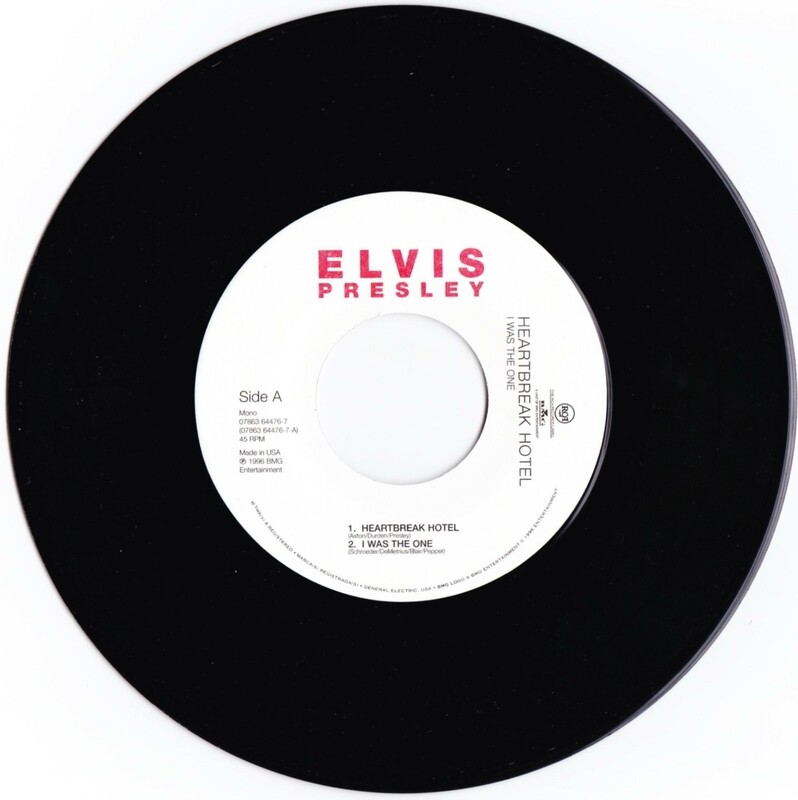 Rear Cover : Photo of Elvis on train playing music. Song titles to left in red lettering. 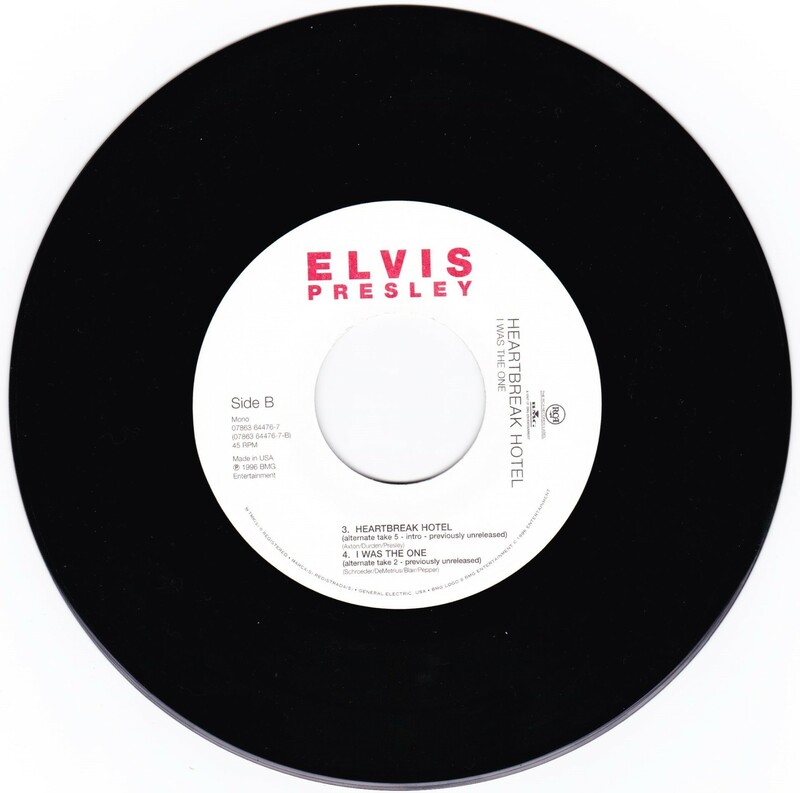 Label : White label with Elvis Presley in red lettering.